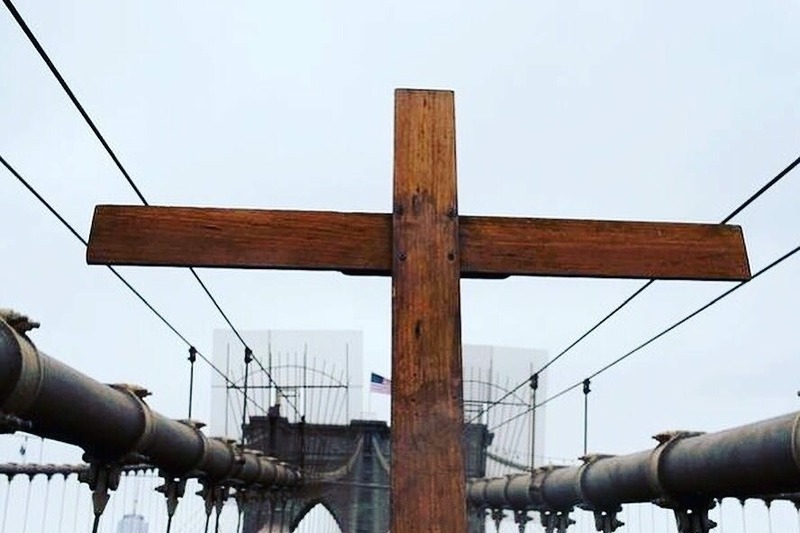 On Good Friday, March 30, 2018, the lay movement Communion and Liberation, with the support of the Archdiocese of New York and the Diocese of Brooklyn, will lead the 23rd Way of the Cross over the Brooklyn Bridge. In this world greatly in need of peace, we seek to bring the cross of Christ to all New Yorker as well as all men and women everywhere. Come walk with us on Good Friday 2018. Now that this experience has become a New York tradition that embraces the general public, the expenses incurred, approximately $ 15,000 per year, vastly exceed our limited means. Our main expenses in organizing the Way of the Cross each year include the costs of printing flyers and programs, as well as the cost of providing sound equipment at each of the stations. Any amount is really appreciated. Please see below the reflections of two WoC friends about their experience at the WoC.